Press Release: September 29, 2018 By Sanman Promotions – It will be a busy week for three Filipino fighters as they headline relevant bouts this coming weekend. Lightweight contender Ruthless Romero Duno will face dangerous Mexican Ezequiel Aviles in a co-featured bout under the Linares-Cotto fight in Fantasy Springs, Indio, USA. Meanwhile in Manila, Philippines, bantamweight prospect Reymart Gaballo will work his way up the ranks when he faces Tanzanian Julius Kisarawe. Together with Gaballo, former world champion Marlon Tapales is back and ready to move up towards another shot at a world title as he fights Tanzanian Goodluck Mrema in a bantamweight match-up. Both fights are featured in the ESPN 5 event which will feature the above fighters together with Dave Peñalosa facing Twalib Tuwa also of Tanzania. The fights will be broadcasted live on ESPN 5, Sunday at 2PM (Philippine Time). Duno, Gaballo and Tapales are all wards of Sanman Boxing. 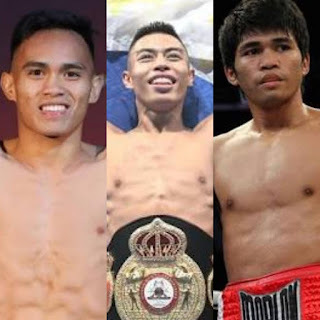 According to Sanman CEO Jim Claude Manangquil, all these fighters will do everything to impress boxing fans. Duno is nearing a world title fight and we hope to face the winner of the Linares-Cotto fight. Sanman CFO Dexter Tan is in the US to accompany and support Duno while CEO JC Manangquil is in Manila to take care of Gaballo and Tapales. For more information about Sanman Promotions and to watch the Sanman Live Boxing series please visit Sanman Promotions’ official Facebook page: www.facebook.com/SanmanPromotions. The Linares-Cotto card will also be available on Facebook tonight (Saturday, September 29th) beginning at 9PM ET/6PM PT (U.S. Time.) 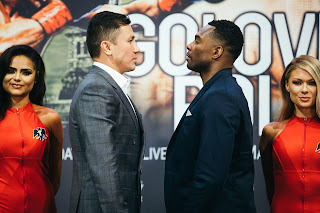 as part of the Golden Boy Fight Night series and will also be available on the Facebook Watch app. To watch the Linares-Cotto card, featuring Duno vs. Avilies please visit the official Golden Boy Fight Night Facebook page: www.facebook.com/GoldenBoyFN.